I’m not going to lie, I’m terrible at running. I always have been. I used to dread cross-country at school. I had no stamina, and I would usually end up falling in a ditch (my old school is surrounded by them as our whole village is built on reclaimed marshland). Come to think of it, my form weren’t good at sport at all. Our form teacher was just glad if we turned up for sports day. The school had a rule that students could only compete in three events each, to give everyone a fair go at participating. They had to make an exception to the rule for our form, because we didn’t have enough girls willing to compete in anything. I remember one year when only three of us turned up on the day. One girl had to run the first and last legs of the 4x100m relay. This year, my aim is to do more and one of the ambitions on my list is to run a 5k. I’m aware that 5k sounds like a pathetic distance to most people, but as you can see from my (non)athletic past, to me it is a challenge. Besides the fact that I am just plain terrible at running, I also have problems with my feet that cause me pain on a daily basis. I’m sure you don’t want to hear the details, but basically I have flat feet, short calf muscles and odd shaped bones. In most people, the bones in your feet slide past each other effortlessly without ever touching. In my feet, they scrape against each other and make it feel like someone is holding on to each end of my foot and twisting with all their might. I’m not sure which 5k I’m going to do yet, or where, but I started training for it properly in January. I am incredibly lucky in that I have the perfect training ground right on my doorstep – Roath Park. 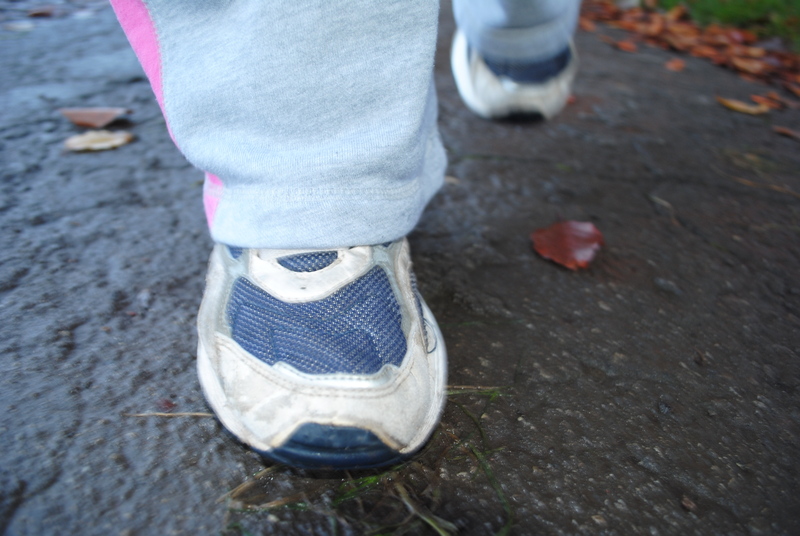 Twice a week I run around the park – past the football and rugby pitches, the children’s playgrounds, the rose garden and the stunning Roath Lake. Although I have to dodge the geese when I get to the lake (I had a bad experience with one that bit me at Lake Windermere when I was a child), there isn’t a ditch in sight for me to fall in. 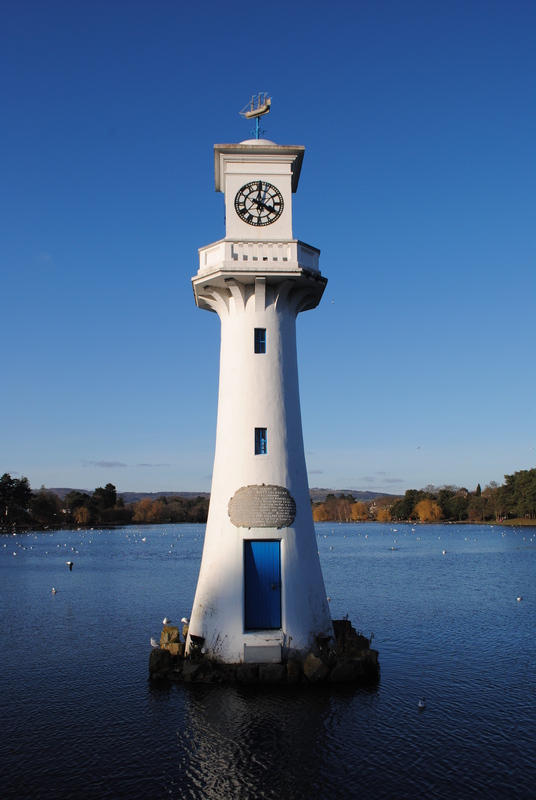 The light house on the lake was built to commemorate Captain Scott’s ill-fated voyage to the Antarctic from Cardiff in 1910. 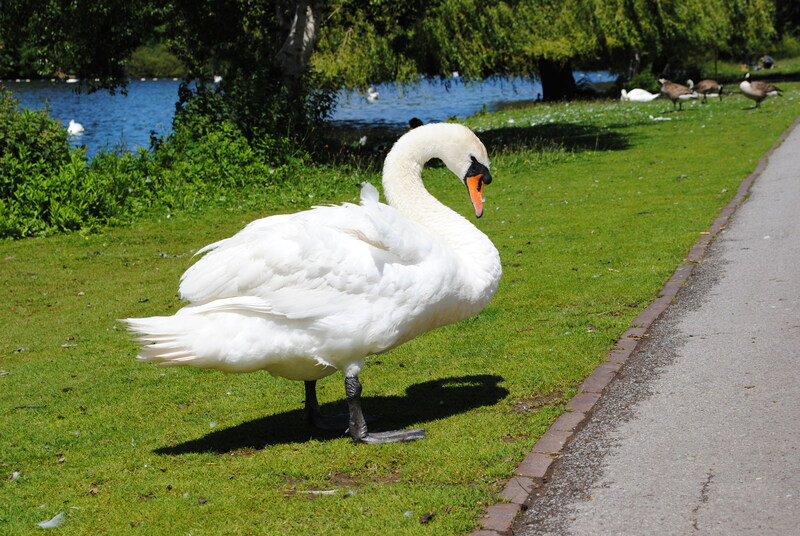 There are about 100 swans that live on the lake, plus lots of geese. I do my best to avoid them, including running off the path in big semi-circles. They also leave ‘deposits’ on the footpath that can make jogging interesting! 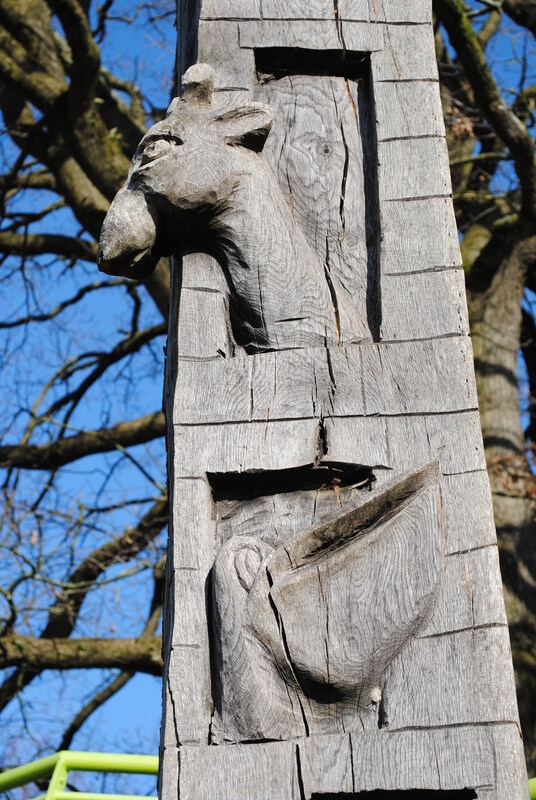 One of my favourite features of the park, and there are many, is the sculpture inspired by Roald Dahl’s The Giraffe and the Pelly and Me situated in one of the children’s play areas. Dahl is one of my favourite authors, and a local hero here in Cardiff. A classic bit of British memorabilia. We don’t have much call for them anymore (excuse the pun), but I wouldn’t like to see them disappear from our landscape. 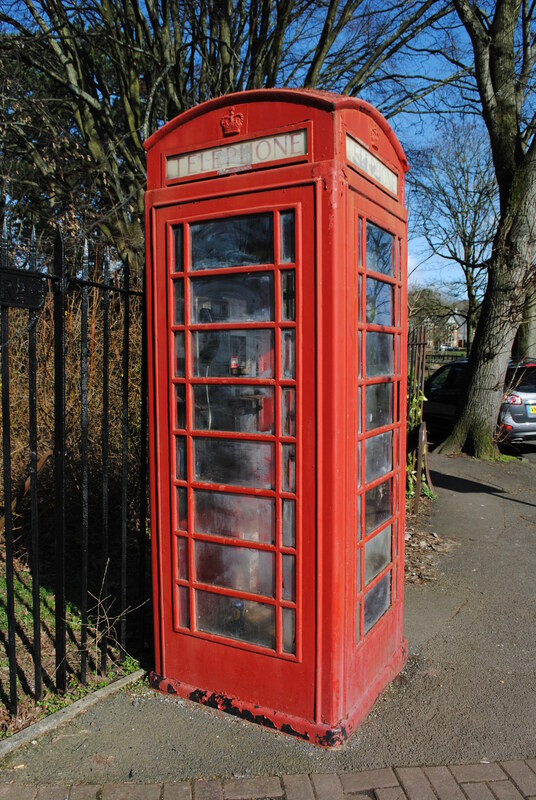 Geez, the old phone box…! Love ’em!